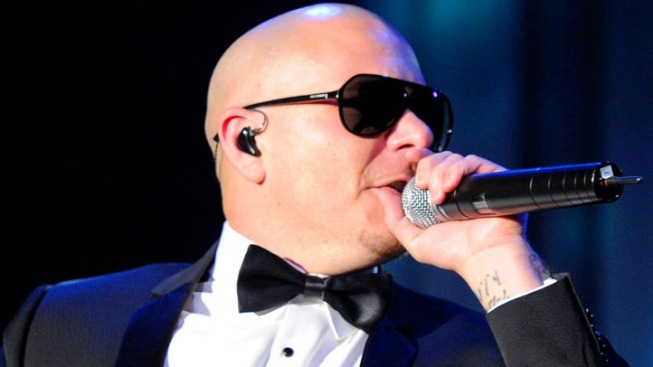 Rapper Pitbull could be headed to Alaska. In a marketing deal, Walmart will send Pitbull, aka Armando Christian Perez, to the store that gets the most "likes" on its Facebook page. Right now, the leading candidate is Kodiak, Alaska. And there might be a reason. Kodiak has a significant lead in the contest to land Pitbull, but actual numbers weren't immediately available, Walmart spokeswoman Sarah Spencer said. She says other Walmart shoppers have until July 16 to like their local stores and pull ahead of Kodiak. "I know Pitbull is hoping his Miami Walmart shoppers start liking their Facebook page," she said. That would require some heavy lifting, with one Miami location sitting tight with 45 "likes" Monday. It would be the rapper's first visit to Alaska. That fact wasn't lost on Pitbull, who tweeted Saturday: "I hear there's bear repellant at Kodiak, Alaska (at)walmartspecials."